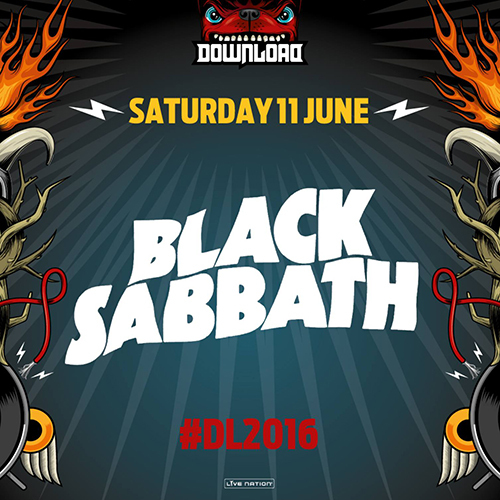 The legendary Black Sabbath – Ozzy Osbourne, Tony Iommi and Geezer Butler – will be returning to headline Download Festival 2016 on Saturday 11 June. Nearly five decades on from their beginnings in Birmingham, the band – who have been widely proclaimed as ‘The Greatest Metal Band of All Time’ – will be coming back to the spiritual home of rock at Donington Park as part of their FINAL ever tour entitled “The End”, which will see their biggest and most mesmerising production to date. RIP (Rest In Peace!) is the original and best rock festival experience. From sunup to sundown, RIP is the most rocking campsite in the kingdom. Enjoy a greener patch of grass to pitch your tent, superior amenities including proper toilets and warm showers, car parking and 24 hour assistance from our event management station. The RIP campsite at Park Farm also boasts a convenience shop, refreshments area, Eco Day Spa, Dressing room and Lockers. 2016 also sees the return of the Metal Meadow packages situated in a new field closer to the Main Arena, with access to all of the facilities in the adjacent Park Farm, along with its own toilets and showers. As well as Park Farm RIP camping and Metal Meadow options, Hotel Packages and the amazing Metal Hotel Resort -with its new Snoozy accommodation – are also available. Head to: http://downloadfestival.co.uk/tickets to check them out.